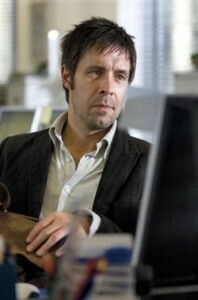 Actor Paddy Considine has revealed how tinted contact lenses have changed his life. The Star of films such as The Bourne Ultimatum and Hot Fuzz, was originally diagnosed with Asperger’s Syndrome in 2010. However, despite the diagnosis bringing some relief, Considine still struggled in social situations. His wife Shelley urged him to go to a psychologist, who suggested he also suffered from Irlen Syndrome, which stops victims from processing full spectral light, resulting in further behavioural issues. Considine told The New Review: “(It had been) driving me to the point of destruction. “It was causing all this anger and aggravation of my brain. However, Considine said he had been given a new lease of life since being prescribed the tinted contact lenses. His friend and Hot Fuzz co-star Simon Pegg also revealed there was a dramatic change in Considine’s personality once he started wearing the lenses while they worked on new film At World’s End – out this summer. Pegg said: “We could all see Paddy was suffering a little bit (on set). He was having to deal with the condition and also focus on acting. It’s like juggling 20 balls. Once they’d (lenses) arrived it was amazing – he just relaxed.